The previous owner can thank the new owner by providing him with a closing gift as a sign of respect for the transaction done. 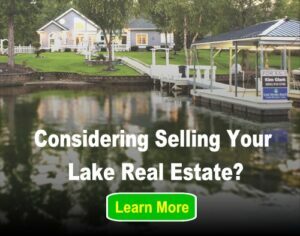 In this article we will provide some great examples for closing gifts for closing on a lake home. Give a book that is all about love, joy, happiness, and belief as a gift to the new owner to congratulate him a new start in an interesting way. Families love their four legged animals and a gift for them would be appreciated deeply from all family members, in which the dog is included as well. You can buy dog and cat gift stacks with high quality products, cookies, doughnuts, and everything that pets will love. Respecting new owner’s dog means you respect them as well. That is why this closing gift is highly recommended. Every American homeowner should have an American Flag in their home. That makes it a perfect closing and housewarming gift. Make sure the quality of the flag is high. This gift is wonderful because everyone seldom thinks about buying it. The price is not high either; less than $50. If you really want to impress your client with a custom and great closing gift, provide them with a painting of the house where they are moving in. Sign your name in the portrait and now it becomes a marketing piece. It is really impressive and amazes the clients every time. There are some websites where you can buy these portraits such as “CuteHousePortraits.Com”. Rather than providing a materialistic gift, why not go out for a dinner and enjoy the night? Make all the reservations for your diner. Arrange limousine to pick you and your client up. Lastly, ask the restaurant staff to send a thank you letter to the client in your name. It would be truly memorable. Similar to the last one, this is not materialistic but an activity. What if your client has everything any you do not know what to give to them? How about for a new experience for which they will talk years after? Choose a guided fishing trip on the lake or a sunset cruise on a sailboat. Not only will it be an enjoyable outing, it will also help the homeowner to learn more about the lake that they will be living on! Closing gifts are like the concluding remarks of an essay. If done properly and effectively, you will impress your audience, who in this case would be the client. It is the last thing they will see or hear from you so put some effort into it and you are almost guaranteed future referrals. Thanks for the article about closing gifts! The recommendation is useful!